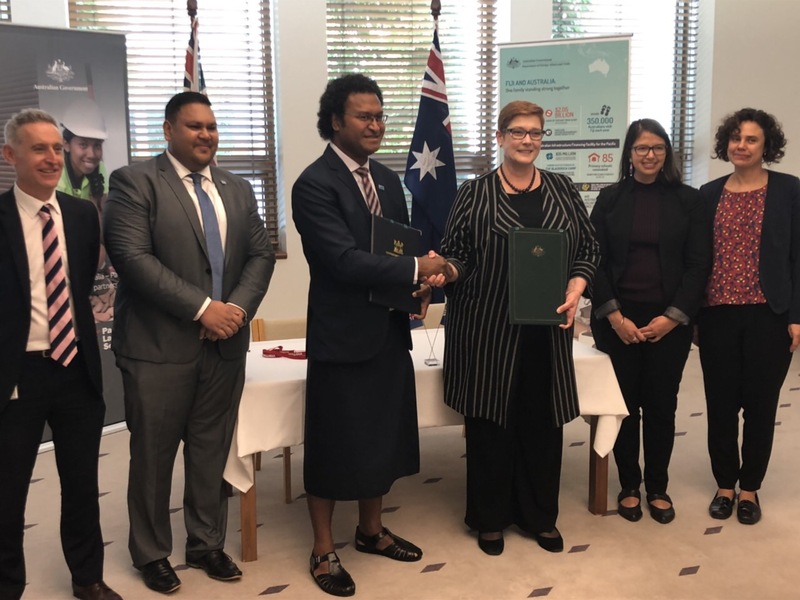 The High Commissioner of Fiji to Australia Mr. Luke Daunivalu last week signed the Memorandum of Understanding (MOU) with the Senator Marise Payne, Minister for Foreign Affairs of Australia in support of Fijians participating in the Pacific Labour Scheme (PLS), in Canberra, Australia. 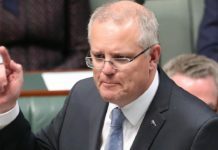 The PLS will now allow Fijians to work for longer periods from 1 year to 3 years, as opposed to 9 months under the Seasonal Worker Programme (SWP) in Australia. The Scheme is expected to have a positive impact on Fiji’s remittance and contribute to overall economic growth. The Scheme will boost opportunities for semi and low-skilled Fijians to seek employment in tourism, age-care and agricultural sectors among others in Australia. The Hon. Minister for Employment, Productivity & Industrial Relations, Youth and Sports Parveen Bala stated that with 69% of Fiji’s population below the age of 40, the Scheme offers a great opportunity to Fijians in this category. To assist Government reduce the unemployment rate to below 4% by 2021, Fiji’s first-ever National Employment Policy was launched in August 2018 to identify and promote employment opportunities for both local and overseas markets. Fiji in joining the PLS is part of the Vuvale Partnership which was announced earlier this year by the Fijian Prime Minister Hon. Voreqe Bainimarama and his Australian counterpart, Hon. 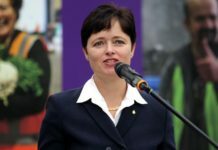 Scot Morrison to further strengthen bilateral relations and people-to-people links between both the countries. Fiji joining the PLS is also part of Australia’s Step Up initiative towards the Pacific region. Fijians who will participate in the Scheme are also expected to gain valuable work experience, new techniques and skills which they are expected to ply in their various fields in Fiji upon their return to enhance Fiji’s competitiveness and ensure productivity gains. Fiji joins countries such as Kiribati, Nauru, Papua New Guinea, Samoa, Solomon Islands, Timor-Leste, Tonga, Tuvalu and Vanuatu in the Scheme. The PLS will run concurrently with the SWP. Fijians wishing to participate in the PLS are encouraged to contact the Ministry of Employment, Industrial Relations and Productivity on the eligibility criteria and other requirements.